Special clinical interests in breast, urological, gastrointestinal, head & neck cancers and haematology. 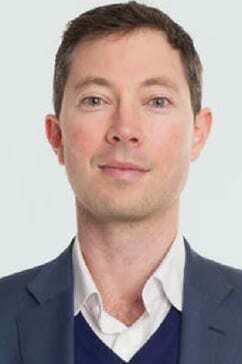 Following completion of a Bachelor of Medicine and Surgery at the University of Western Australia in 2000, Rohen initially embarked on a surgical career before changing paths and pursuing specialist training in radiation oncology at the Peter MacCallum Cancer Institute in Melbourne. In 2013, he was awarded the prestigious Windeyer Fellowship which took him to the Mount Vernon Cancer Centre in London for further subspecialist training in urological, breast and haematological malignancies. Rohen then spent a second fellowship year at the Austin Hospital in Melbourne focusing on gastrointestinal and head and neck cancers. He returned to his home town of Perth with the aim of ensuring high quality, accessible provision of radiation therapy to Western Australians. With an extensive research and peer-reviewed publication portfolio, Rohen maintains an active interest in research projects across a broad range of tumour sites. His commitment further extends into future-proofing the specialty locally through the provision of high quality medical education as evidenced by his position as Director of Training for Radiation Oncology (at Sir Charles Gairdner Hospital), and as oncology lecturer to medical students.